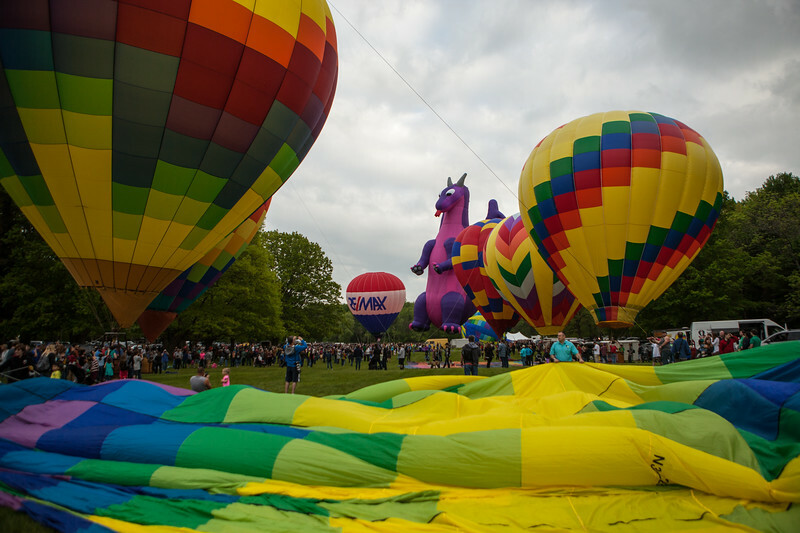 On Saturday, May 27th, 2017 we had the privilege to photograph the Letchworth State Park Red, White and Blue Balloon Festival. The colours were spectacular and it was so incredible to see the size of these balloons. The morning had one balloon inflated but no flight because of the weather. I wouldn't have guessed that the flight couldn't happen but there is a lot more to getting off the ground for a safe flight than I ever knew. In the evening many balloons were able to be inflated, however they once again were unable to go into flight. It was disappointing not to get to see them in flight as this was a first time for me seeing a hot air balloon ever. It was really neat to get a chance to see the teams of people invested in hot air ballon flights and talk with them about their craft!